Most of us tend to ignore our back, that is, until back pain flares up, resulting in a dull, constant ache and/or a sudden sharp pain. Back pain can be caused by a fracture, sprain, or other accidental injury, can be caused by a medical condition, being sedentary and overweight, or simply be the result of a misalignment of the spine. The good news is that back pain can be prevented. Following are 5 ways to improve the health of your back. Put in the effort to maintain a healthy weight, 10 pounds within your ideal weight. Excess weight can creep up on you and when it does most of us aren’t aware of how seriously it affects us. Extra pounds, particularly in your midsection, will make back pain worse because it shifts your center of gravity and puts strain on the lower back. Always pay attention to your posture. Maintaining the right posture plays an important role when it comes to preventing back pain due to the fact that muscle strain and pressure on the discs, back joints and ligaments is aggravated by bad posture. 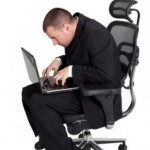 Some posture breakdown is outside of our control, we will talk more about that later. But you can maintain good posture when sleeping by attempting to keep your head centered over your neck as much as possible. Avoid sleeping on your stomach, always sleep on your side or back. When sleeping on your side it is important to have a pillow that is supportive enough to keep your head in alignment with your spine. When sleeping on your back it is good to have a pillow underneath your knees in order to take pressure off your lower back. Always support your lower back while sitting by using a pillow that’s specifically designed for the purpose or using a rolled up towel or small pillow. This will help to maintain the normal curvature in your lower back. Remove the support every half an hour for a few minutes to change the position of your lower back. It’s also a good idea to invest it a good mattress since most of us spend a lot of time in bed. Take the time to do some research, ask friends and family for recommendations, read reviews and test the mattress you’re considering at the store. It’s important to keep in mind that what works for one person might not work for you, so be sure take the time to find the best choice for you. Some of the best mattresses that I’ve seen over the years are the sleep number bed from select comfort and the temperpedic mattress. Take the time to warm up before exercising or other activities. Jumping right into any activity with cold joints and muscles will definitely increase your risk for injury. There are a number of ways to warm up including Yoga and Pilate moves; you should consider taking a class to learn a variety of moves or look them up online. Lower back pain is frequently related to changes in posture. Many postural changes are outside of your control. After all nerves tell muscles how to pull on the spine, if the nerves are sending the wrong message your posture will continue to be distorted. Postural adaptations such as your head tilting to one side, shoulders being uneven, hips being uneven are all signs of an underlying problem leading to these types of postural changes. 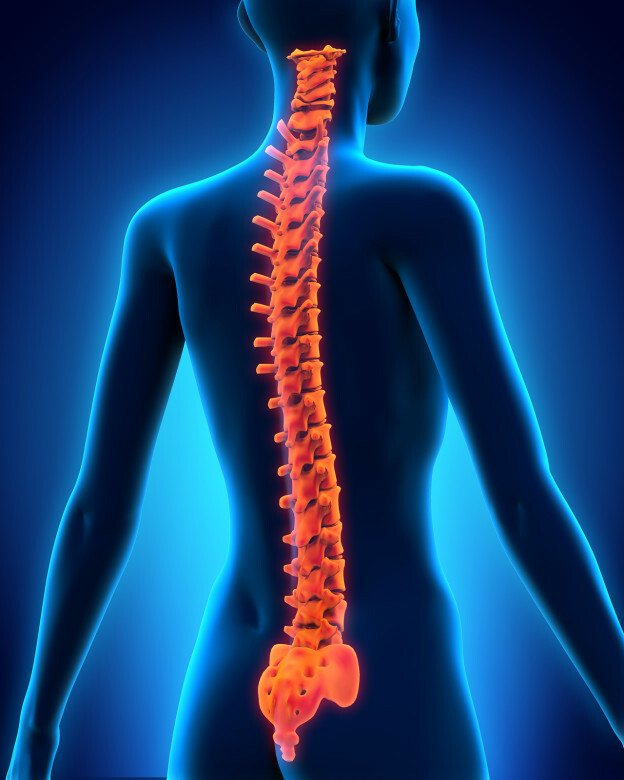 The spine is an extraordinary arrangement of bones, tendons, ligaments, discs, nerves and muscles, designed to be strong, flexible and protective. Most of us take what the spine does for granted; that is until something goes terribly wrong. When the spine is aligned correctly, it’s incredibly stable and strong. When a misalignment takes place at the top of the neck, the spine adapts or compensates for it in an attempt to protect the nervous system, triggering a chain reaction from the top of the spine to the bottom. Upper cervical chiropractors have been helping people who suffer from lower back pain for years by addressing the underlying cause of these postural changes. These patients usually end up experiencing a phenomenal improvement in both the frequency and severity of their low back pain thanks to upper cervical care. And upper cervical chiropractors are able to address these underlying postural changes without any of the popping, cracking or twisting of the spine common with general chiropractic manipulation. Dr. Pete Tsiglieris of Advanced Spinal Care in Redwood City, California is an Upper Cervical Specialist trained by the National Upper Cervical Chiropractic Association (NUCCA). His upper cervical clinic also serves San Mateo, Palo Alto, Menlo Park, San Carlos, and Sunnyvale. They are uniquely trained to correct problems in the upper cervical spine (upper neck). This vital area is intimately connected to the central nervous system and problems in this area have been shown to be an underlying cause of a variety of different health problems, including migraines and other headaches, carpal tunnel syndrome, neck pain, back pain and shoulder pain and weakness. More information can be found on our website at https://bayareanuccacare.com/.